Integration is the key to this calendar app. It uses natural language to let you easily create new events and invite contacts in a single stroke. Intuitively, it can also merge duplicate events across any other calendars you might have and set reminders - complete with directions - to any event on your schedule. The beauty of PDFs is in their simplicity, but things can quickly turn ugly when you need to modify those crucial documents. PDF Expert is an effective workaround for that, allowing users to easily edit text or images in any PDF doc. You can also merge PDFs or read large files with an innovative viewing system - even share them remotely across iPad, iPhone or Mac. Annotation and form filling options abound, all user-friendly. The ultimate task manager, this program corrals all your tasks for the day, week or month into an interactive flowchart. With a simple click on a tab, you can stay on track with ongoing projects and schedule new ones, then send that info out to an integrated contact list that can also collaborate and update items through the app. You've also got the option to sync this data with your other devices so you can stay on track while you're on the go. 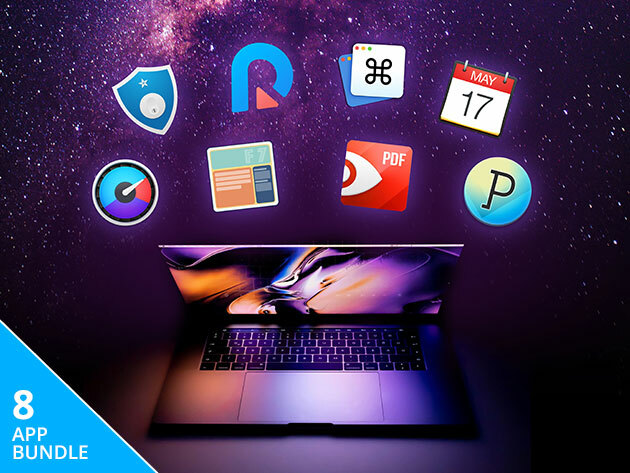 Along with this crucial software, the bundle comes with some top-rated password-protection (iLocker Pro), data recovery (Ultdata Recovery) and website building apps (Flex 7), among others. Right now, the whole Epic Mac Bundle is available for $29.99, more than 90% off the cost of the individual programs sold separately. Use the code MADNESS15, and Boing Boing buyers will get an extra 15% off that sale price.